Here are some links to great resources for healthier living! We use the highest quality Standard Process, Nutri-West supplements and Supreme Nutrition products. They are certified organically grown, hypoallergenic, disintegration tested to ensure maximum absorption, tested for heavy metal contamination; and, to set them apart from other high quality physician-only brands, they are pre-market tested for energetic balance. We also offer NET Remedies, homeopathic remedies. And Multi Polar magnets and hematite bracelets for those who may be experiencing electromagnetic hypersensitivity. The Environmental Working Group does great research on cosmetic and food safety. Check out Skin Deep: Cosmetic Safety Database, Sunscreen Safety Guide, and Shopper’s Guide to Pesticide in Produce. Are you interested in eating Paleo but have no idea how to start? 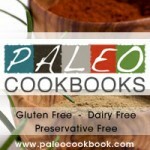 NomNom Paleo has an award-winning blog with a wonderful listing of free recipes. Or check out my Pinterest page for Paleo recipes with an ethnic flair. Or, you can try these Paleo cookbooks: Click Here! I purchase many organic bath and beauty products, parchment paper (a non-toxic substitute for cooking with aluminum foil), coconut oil, organic herbal teas and even sardines from Vitacost. They offer great discount prices. For supplements, though, I do recommend getting a personalized regimen from a trained practitioner to help you reach your specific health goals. For clean, hydrating water, the best choice is spring water. The next best choice is Aquasana Water Filters, which I attach to my sink for filtered drinking water and to my shower head. I use the shower filter because I believe that whatever goes onto your skin comes into your body, especially if you are dealing with skin disorders. And I prefer thorough carbon filtration to alkalinizing water and reverse osmosis because the water structure is least altered by this method and therefore may be more hydrating to the body.